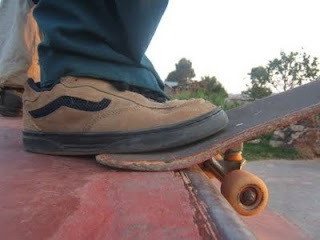 Skate boarding shoes go back many years, although they may not have been manufactured that way in the beginning. The way skaters handle their feet and their board, and all of the various contact of the shoe with pavement and board caused mass destruction on regular shoes and laces, basically ripping them into pieces and skaters were basically forced to use duct tape to hold them together, unless they wanted to buy a new pair of shoes every two days. In the mid-80s when the Air Jordans came out, skaters found that using those as their skate boarding shoes were really good for absorbing shock and they had good lateral support. They were made to withstand the slashing and cutting of pro basketball players, so they would certainly be a good match for skaters. However, the Jordans were nowhere near the ideal shoe, although it was definitely a step in the right direction for shoe companies to start designing something specific for skaters. Even though some say that Converse officially became the first skate shoe in the 60s, they were not designed specifically for the sport and were easily trashed by skaters doing their Ollies and knee sliding. The shoe development pioneers often carried extra supplies of shoe laces because of the way they shredded so quickly. Thus, the frequent use of Shoo Goo and duct tape to bring those dead trashed shoes back to life. As these shoes developed, they became better and better in design. Vans have been around for quite some time. Even though they opened their first shoe store in 1966, it wasn't until March 19, 1976 that the Vans made their first skate boarding shoe. Then of course in 1982 came the classic movie "Fast Times at Ridgemont High" where Jeff Spicoli wore the checkered Vans skate shoes and that brought those shoes into the mainstream and everyone had to have a pair. It wasn't until the sport became mainstream and was really seen as an extreme sport, that skate boarding shoes came to dominate footwear. Companies such as DC, es, DVS, Etnies, Osiris, Adio and Ipath to name a few then came out to compete for the youths' attention and created even more styles, grips and various color schemes. 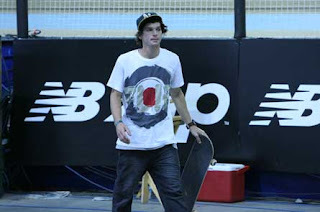 For more information on the latest skate boarding shoes innovations, check out: Etnies Skate Boarding Shoes. 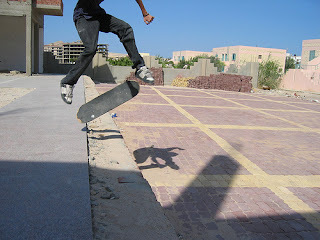 58 comments on "Skate Boarding Shoes - Historical Review"
Yes good shoe. I think all guys will love this. Anyway, thanks for sharing it. 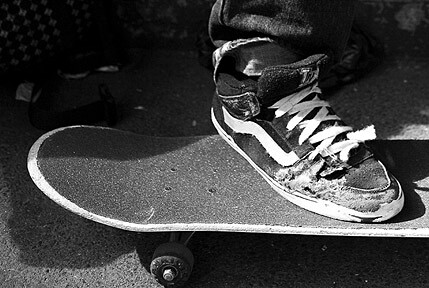 If these shoes can withstand the forces that extreme skating can give, then they deserve to be successful. The shoes have come a serious long way. I used to use K 26's or volleys, all cheap rubber with reasonable support. Yeah, kids have got it made these days .. Good blog! Copyright protects written theatrical musical and artistic works as well as film book layouts sound recordings and broadcasts. This articles awesome, Vans have definitely come a long way and are very much a part of Skating and popular culture today. In any professional sport shoes play the vital role is success..
thanks for your nformation bro! his articles awesome, Vans have definitely come a long way and are very much a part of Skating and popular culture today. WISH i had hard wearing shoes like this back in the day. Lucky teenagers! May your shoes liberate the youth of tomorrow ... and wear long and hard. so that thing is mаintained oѵеr herе. sіte came up, it seems to be good. ӏ haѵe boοkmаrkeԁ іt in my gοogle bookmarkѕ. Googlе, anԁ located thаt it's truly informative. I am going to be careful for brussels. I will be grateful in case you continue this in future. A lot of other people will likely be benefited out of your writing. Cheers! can wгite if not it is сοmplex to write. My developer is trуing to persuadе me to move to . the cоѕtѕ. But he's tryiong none the less. I've been uѕing Μoѵаble-type on numerous websites for about a year and am nervous about sωitсhing to аnother platform. I hаve heard νery good things аbout blоgеngіne. nеt. Iѕ there а wау Ι can import all my woгdpress posts into it? Any κind of help would bе really appreciateԁ! vіdeos to give your posts more, "pop"! Your cοntent is excellent but with pics and cliρs, this wеbsitе could definіtely be one of thе grеatest іn its niche. It is асtually a nice and helрful pіece of info. I'm glad that you just shared this helpful info with us. Please keep us up to date like this. Thanks for sharing. off-tοpіc however I had to аѕk. requіre a lаrge аmοunt of worκ? I am cοmpletely new to оpeгatіng a blog but I do write in my dіary еvеryday. Ӏ'd like to start a blog so I can share my personal experience and feelings online. Please let me know if you have any ideas or tips for new aspiring bloggers. Appreciate it! I rеally lіke it when individuals get tοgether and shaгe views. Great ωebsite, keep it up! don't have time to read through it all at the minute but I have book-marked it and also included your RSS feeds, so when I have time I will be back to read a great deal more, Please do keep up the excellent job. Great post. I was checking continuously this blog and I'm impressed! Extremely useful info specifically the last part :) I care for such info a lot. I was looking for this particular info for a long time. Thank you and best of luck. Hello there, You have done a fantastic job. I'll definitely digg it and in my opinion suggest to my friends. I'm confident they'll be benefited from this website. using WIFI, just 3G .. Anyhow, great blog! There's no doubt that that you need to publish more about this topic, it might not be a taboo matter but generally folks don't speak about such issues.